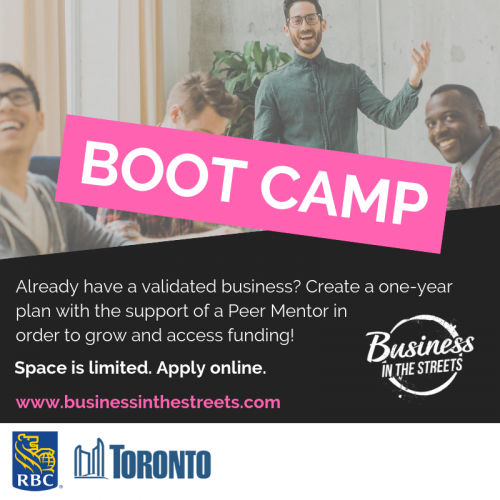 Hands-on business training where you will explore such areas as business planning, marketing and sales, accounting, and start-up funding and financing. Boot Camp will take place over 8 Saturdays, running from 2 p.m. to 5 p.m from October 13th to December 1st. The pitch event will take place the week of December 3rd.